In a boost to self reliance, many state owned public sector units like DRDO, HAL and DRDL executing many projects. DRDL - defense research and development factory under DRDO executing many missiles and bombs project, and this time DRDL being ready to conduct captive trails of in house developed supersonic anti radiation missile, the missile who targets enemy radars who keep an eye on the space. The future battle is very tough with modern capabilities, the one who controls the space eventually wins the war. Almost all nations military's have mobile radar battery and air defense missiles to counter incoming air targets like helicopters and fighter jets. Radar's are the only option to scan the sky for any intruders in long range. The air defense units are comprised from small battlefield range to very long range, something like Spyder to S 400 respectively. the missiles won't go their own, since they were guided by wide range of radar's. If anyone takes out the Radar, enemy becomes blind, and his missiles won't fly without getting guidance. So first step to breach the enemy space is to destroy their radar sites, Nations like US and Israeli's are experts in so called SEAD -Suppression of enemy air defense mission , the above nations who always controls their enemy's airspace in first wave of attack. Both of them uses the AGM 88 High speed anti radiation missiles with jamming supported by DRFM based jammers for better results. 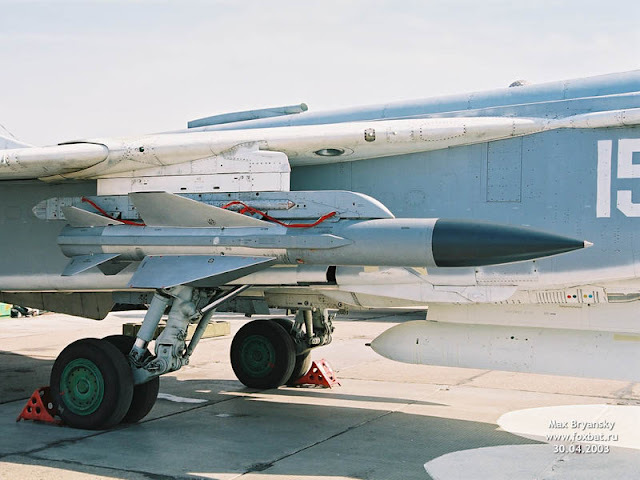 Indian air force too have some anti radiation missiles like Russian supplied Kh 35 anti radiation variant used in Su 30 MKI, and the French supplied Martel missile used in Jaguar and Mirage 2000. India also placed an order to buy some hundreds of American AGM 88 to be used in Jaguar. There is another one similar like anti radiation missile, named K 100 novatar developed by Russia and India jointly, To destroy airborne control center AEWCS planes like Saab Erieye and E 3. India and Russia using this since years which will be carried by Su 30 MKI. Anti radiation missiles uses a variety of radar warning receiver coupled with a DRFM- Digital radio frequency memory. the miniaturized re designed above system to be used as a seeker in the Missile, who can scan radar frequency's and guide themselves to approach the target. Similar like other anti radiation missiles. The missile uses the exact dual pulse motor used in the Barak 8 missile, The missile have two stages, when launched from the air craft the first engine ignites and go through the designated way point, once the missile's seeker found the target and locks himself, it uses the second high speed motor in the terminal phase. Actually the range of the NG ARM is over 100 kilometers, the range can be further increased by launch altitude. It's must that the AR missile should have stand off capability. First test firing of NG ARM will be carried out in coming days, DRDO and it's branch DRDL will evaluate the flight trails in coming week, once carriage trails successful the missile further carried by Su 30 MKI for dummy missile tests, which followed by a live fire trails, all the above said milestones are scheduled to be achieved before the end of this year. which will be ready for mass production within two years, after identifying the producer. DRDL plans to use the missiles in Su 30 MKI and the LCA Tejas. the fighters who adopt Indian made missiles.